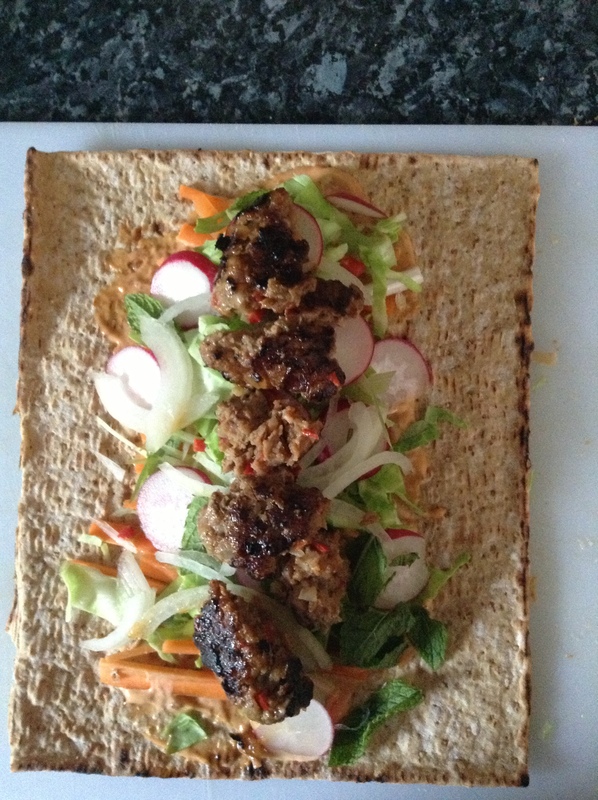 Morrocan-spiced burgers, thinly sliced vegetables and harissa mayonnaise in a whole wheat wrap sprinkled with mint. Epic lunch. It was! And it had just enough lamb to be tasty and satisfying without being like 900 calories. Gorgeous image! Bet it tastes great, too. Oh, that looks perfect for an al fresco meal! Beautiful recipe, beautifully presented… lamb and the garnish look just perfect! It was quite refreshing which I think lamb can sometimes lack. It was great! Nice picture! Makes me want one right now! So easy and delicious! Gorgeous. I love lamb! And with those condiments….yum! Beautiful pics.